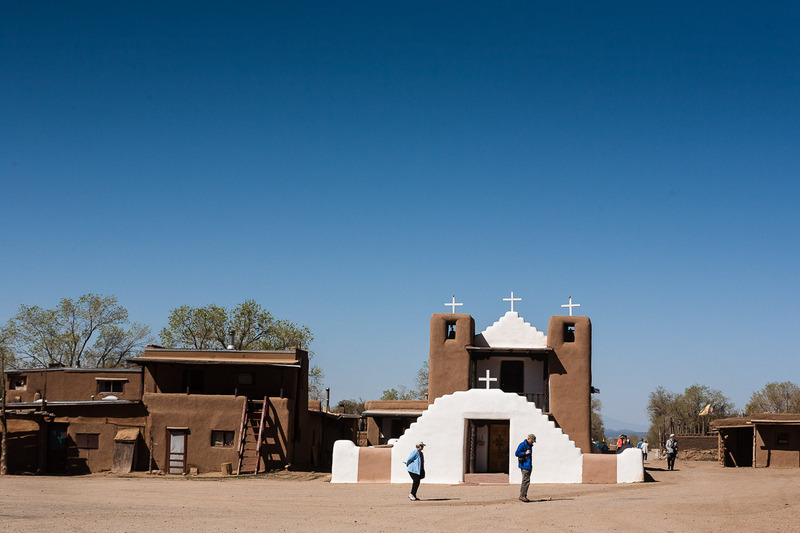 Not too far north of Santa Fe is another artistic New Mexico town, still loaded with tourists, but not quite as artistically-commercialized its bigger brother. 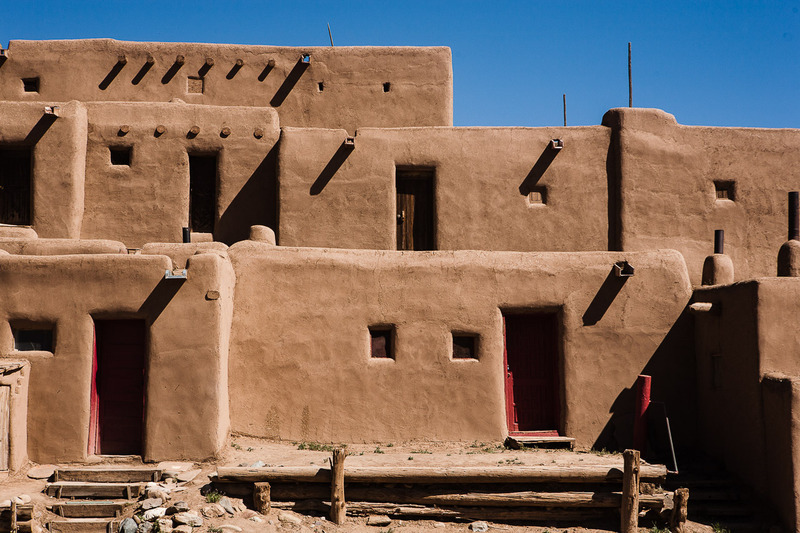 It's called Taos, after the 1000-year-old pueblo community outside of which the modern town sits. 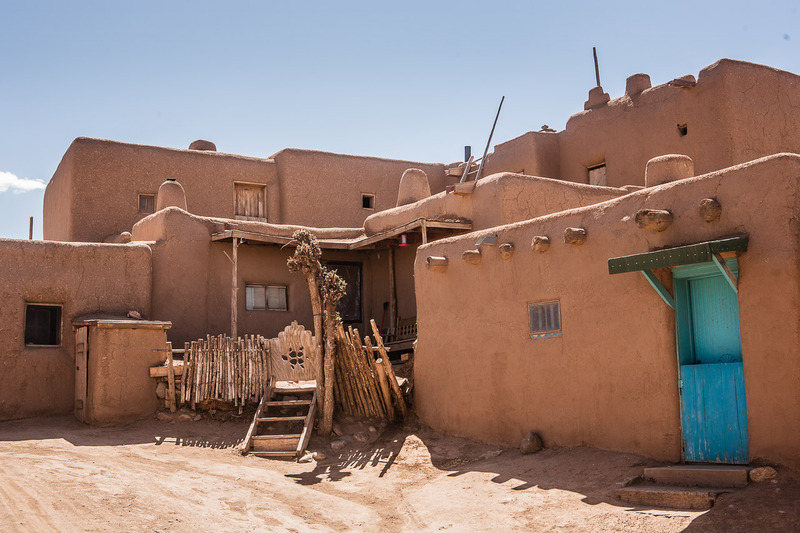 According to Wikipedia, the Taos Pueblo is considered by some to be the oldest continually-inhabited community in the land now known as the United States. They are also known to be one of the most "private, secretive, and conservative." Perhaps because white people have been forcing Catholocism on the community since the sixteenth century, or because Teddy Roosevelt thought that the mountain and lake from which the Tiwa spiritual tradition springs (it is believed that the people were originally borne out of the lake itself) would make a better National Forest. Either way, it sounds like they've had a rough living since the "New World" was discovered. 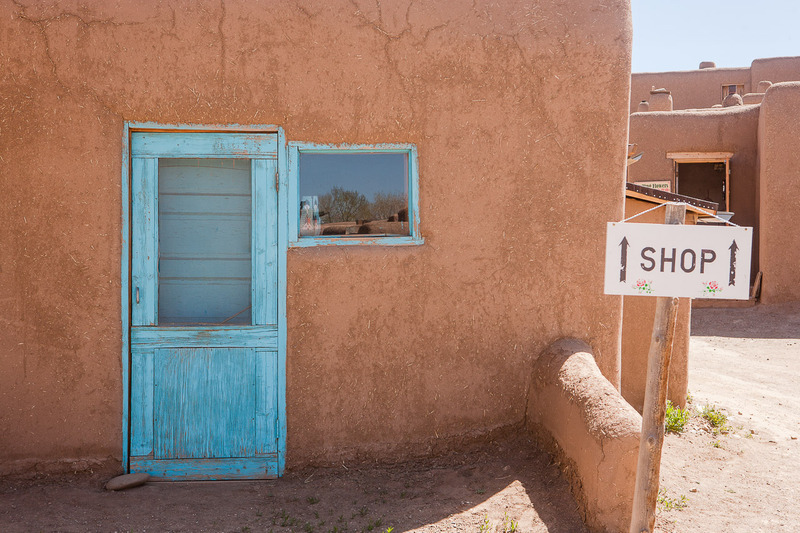 A tough fall from their former glory as one of the primary trading posts in network of large Native American pueblos. 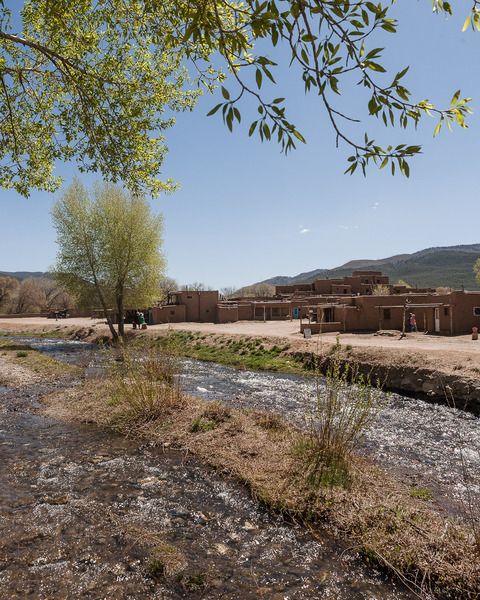 This stream runs through the middle of the pueblo and is their primary source of drinking water. I couldn't help but feel this strange sense of resentment even on the approach into the pueblo. This was no longer the proud ancient community - it was a quiet ancient tourist-trap. Park over there, it's $6.00 per camera, put this tag on your camera so we know you've paid. Don't pet the dogs. Next to the piles of traditional pueblo bricks, made the same way they've been made for centruries, are old Chevy pickups and Ford Broncos. Sprinkled throughout the homes were a few open doors, allowing you to peek inside what used to be a living den and is now a gift shop with silver and turquoise earrings and post cards. We found ourselves joining a tour led by a young lady who had grown up in this pueblo - it was very well rehearsed. A perfect history report. Gratuities help her to pay for for her nursing degree. We started at the Church that sits dominantly in the same central square where their traditional spiritual ceremonies and celebrations take place. Inside it was full of the predictable morbid Catholic imagery, but that imagery was altered to remind visitors that this religion has been forced upon the Taos people. Just being there made me feel like I was contributing to this community's self-prostitution. They clearly would prefer to keep to themselves, but rely on tourism to help pay for the costs of modern living. Despite an impressive and interesting history, I got the impression they were simply hanging on in today's world. Special thanks to Alex B. (who suggested oldest continuously occupied community in the US) for making this blog post possible!